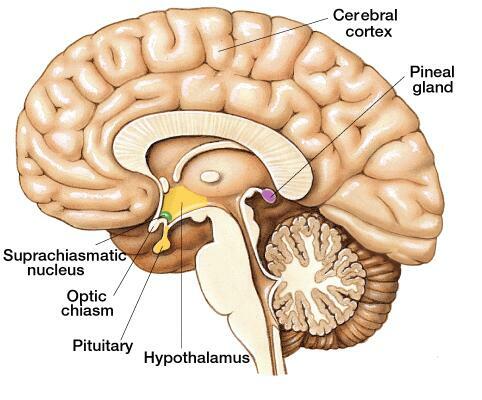 Often referred to as the third eye, the seat of the soul, or the epicenter of enlightenment; the pineal gland has been something of a mystery when it come to science, yet this small gland in the brain has earned high praise amongst many esoteric/metaphysical schools of thought as being quintessential to spiritual development. What’s even more fascinating is that the pineal gland is not just an important concept to one or two cultural traditions, but is applauded for extraordinary abilities to raise consciousness among a variety of cultures all over the world. Unfortunately, trying to find hard data on the pineal gland that is reliable is few and far between, given that speculation of its powers are rampant, yet scientific research on the gland is lacking to say the least. Due to the many questions that are still unanswered on the subject, Jay the Explorer and I have decided to put our minds together and dive deeper into just exactly what the pineal gland is, offering both known research and speculation as to what lies deeper beyond the surface. There is a lot to be learned from current research and even further that still needs to be explored. The hope is that this podcast will provide people with a solid foundation as to what exactly the pineal gland might be, as well as a few tantalizing theories as to what we might discover as we move into future studies. From the initial research, it seems that the pineal gland is much more than just a normal gland in the body, but instead could secrete natural DMT and be the modulator that determines the frequency of human consciousness. It’s at least worth a look to find out what’s there, because if that were true, why would anyone not want to understand its functions?